detailing a part of speech, we lined up to build complex sentences as a group--up to 14 words--much easier then managing those unruly parts of speech oneself! For the first time, we wrote a classic five-paragraph essay together as a class, talking through the thesis, the supporting points, and the conclusion to produce a class essay on Why Voting Matters. We edited this first draft, talked about why we made those edits, and produced a second stronger version of Why Voting Matters. The 2017-2018 school year brought a new challenge to the SPARC program. Due to recent changes in state funding, the out-of-the-box experience that the SPARC women love and credit with their increased ability to learn to communicate does not conform to current state standards for Adult Basic Education and ESOL. SPARC founders and supporters have returned to fundraising to continue to provide this opportunity for improving communication skills to women-in-need. "SPARC has provided to me the skills I needed to pass my writing high school test. I don't think I would ever achieve this goal without SPARC." "SPARC is not a class with an end for people from another country." "SPARC is a class we all enjoy. There are no pressure, but steady work; there are no test, but steady results and improvement; there are no major rules, but freely we all blend in as a piece of the puzzle and all is perfect in place." The environment in the SPARC classroom is inviting, with snacks, fruit and beverages, and personal touches, like individually-designed name tags. The class may begin with a group-activity, like limericks or a progressive story, with a thought-provoking prompt--how do you feel during a thunder storm; what is a scent that brings back a memory--or a lively discussion of the homework or most recent journal topic. Grammar is experienced as a puzzle and positive tool to increase the effectiveness of any communication. Concepts--like how to write a topic sentence or how to organize a five-paragraph essay--are condensed to the simplest format possible, and followed with discussion and exercises so the women can experience the concepts in their writing. 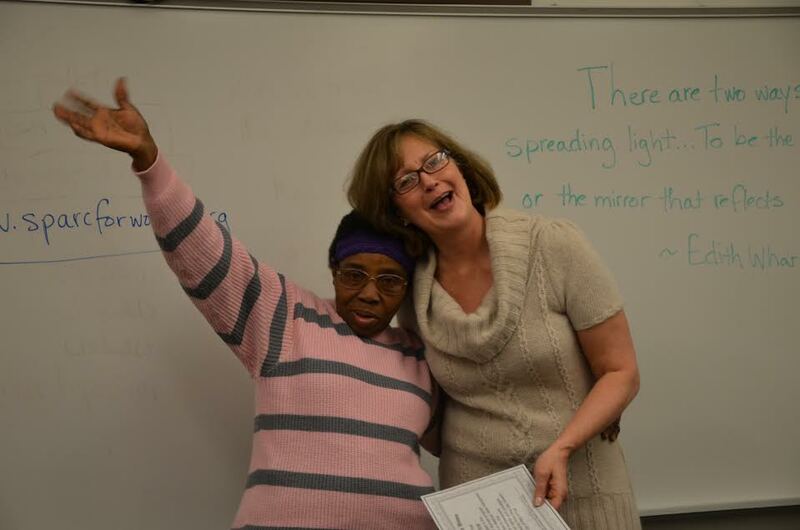 "Another activity we enjoy is learning new vocabulary and dissecting English slang, which often leads to lively discussions about language and communication in general,” says Executive Director and Founder Beverly Carroll. Monthly meetings sessions are varied and lively, and include activities the women request. One meeting had us on a field trip at the Nashua library researching a home town or country and creating a verbal presentation. One of the benefits to learning writing in an intimate workshop setting is the discussion that takes place. Women learning English as a second or other language appreciate the chance to practice in a supportive environment. "I've learned more in this class than any class I've taken," says one of the SPARC women, and others quickly agree. Congratulations to all the SPARC graduates. Best wishes to those taking the HiSet this year, and to our graduates completing the Getting Ready for College class and those enrolling in college courses. SPARC graduates, also conferring the now traditional silk rose to all the women with perfect attendance. We also commemorated a very special SPARC event--our first baby. 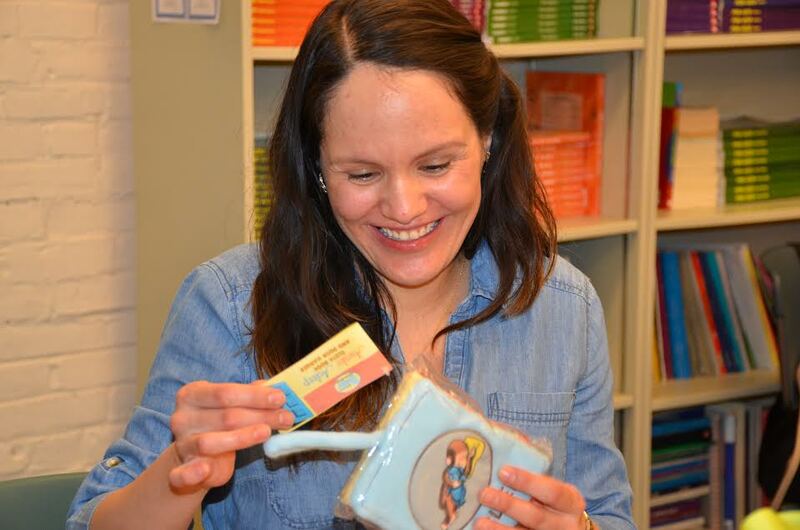 Karla welcomed her son into the world soon after graduation. To date, he's the only male we've permitted into our women-only class room! 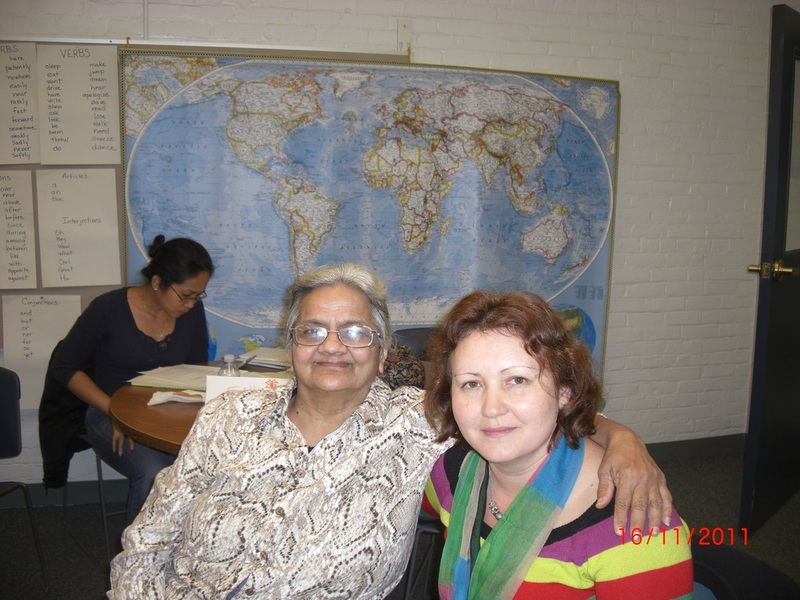 Through classes and workshops at the ALC and the programs at Mary's House in Nashua, NH, and Found-In-Translation, a medical interpretor program, the SPARC program has now reached over 150 women. SPARC continues to meet at the Adult Learning Center, our sponsoring organization, in Nashua, New Hampshire.